China warned on global trade dispute: The warning came after delegations led by U.S. Commerce Secretary Wilbur Ross and China’s top economic official, Vice Premier Liu He, wrapped up a meeting on Beijing’s pledge to narrow its trade surplus. A U.S.-based crypto exchange lets investors buy coins using U.S. dollars. In the past, the majority of digital coins could only be purchased by first converting dollars into bitcoin. Working with U.S. agencies to help solve the “regulatory puzzle” of cryptocurrencies will help unlock capital, says Bittrex Founder and CEO Bill Shihara. European markets are set to open higher this morning on Monday amid a slew of corporate news, and despite another anti-immigration party winning an election in EU country Slovenia over the weekend. Last week European markets posted their first weekly loss since March, breaking a run of eight consecutive weekly gains, raising the prospect that we could be on the cusp of a period of consolidation. The U.K. FTSE is anticipated to begin the week 36 points in the green at 7,729. The Italian FTSE MIB leads the charge, set to open 234 points higher at 22,323. The German DAX is seen up 80 points at 12,777 while the French CAC is seen 30 points higher at 5,487. Also in the U.K., Clydesdale and Yorkshire Bank (CYBG) said on Sunday that it had increased its bid for challenger bank Virgin Money. The deal would create the U.K.’s sixth largest lender. The takeover panel deadline for the deal is 5:00 p.m. BST on Monday afternoon. TransferWise announced a partnership on Monday with France’s Groupe BPCE, to offer its low-cost money transfer service to the lender’s customers. At the beginning of 2019, the partnership between Groupe BPCE and Transferwise will see the fintech’s international payments API power all payments made digitally by the group’s 15.1m retail customers at the mid-market exchange rate. 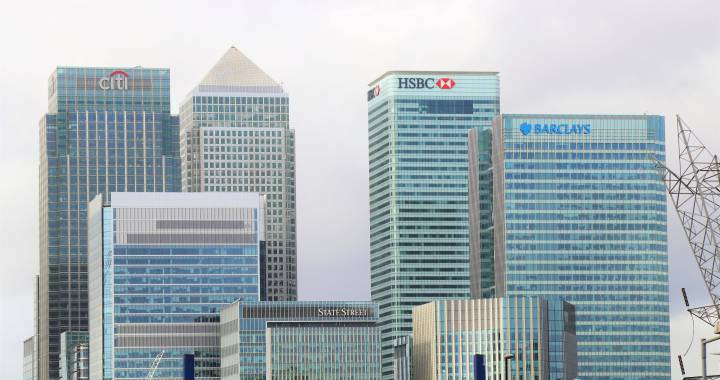 The service will be integrated via the group’s banking apps starting in 2019, the companies said in the announcement made at the Money 2020 Europe fintech conference. The company released a statement on Saturday morning, saying its systems were now working at “full capacity”. Visa apologised and said Friday’s outage was not down to “unauthorised access or a cyber attack”. Customers have reported money going missing from accounts when their cards were declined. Payments processed through Visa’s systems account for £1 in £3 of all UK spending. Supermarkets Tesco, Aldi and Nisa are recalling a number of pastry products over fears they may contain metal wire. The retailers, along with brands Walls and Millers, have products made for them by Addo Food Group, at six locations around the UK. Their Own-brand pies, sausage rolls and pasties with use-by dates ranging from 4 June to 12 June have been affected. The products affected are own-branded products produced for Aldi, Nisa and Tesco and branded products produced under the Walls and Millers brands. A total of 59 products have been affected are being recalled. Bank TSB may have broken new General Data Protection Regulations (GDPR) laws after a botched mail out to customers. This latest bad news for TSB as the bank’s tech crisis which saw customers locked out of their bank accounts and businesses unable to pay their staff. The meltdown started on 22 April when TSB tried to migrate data from systems run by Lloyds Banking Group over to a new platform. But the crisis dragged on for weeks, with some customers reporting problems three weeks after issues first arose. Computer problems at TSB have continued into their third week with customers still unable to access their mortgage accounts online. Upcoming credit card payment information is also unavailable online for some customers, leaving them in the dark if they do not have paper statements. Some payments through the mobile app and internet banking are also not functioning. TSB boss Paul Pester set to lose millions in bonuses as computer meltdown costs top £100m.